Have a long page of informational web copy broken into subtopics that might benefit from using some jump links in the content? If you have some extra sidebar space, here’s a refreshing departure from the typical. On the PowerToChoose.org website (screenshot below) you’ll see no ugly lists of bulleted hyperlinks clogging up prime real estate at the top of the main content page/block. Instead the designers have used the righthand sidebar titled On This Page to park a logical list of anchor/jump links, dressing them out more like site navigation than the jump links that they are. This design enables the visitor to see as much of the informational content as possible on the page, but this strategy is only useful if your sidebars are open. A lot of on-page functionality would obliterate this tactic. This site has a clean look and feel, it’s streamlined and at the risk of sounding idiotic—it’s got a great vibe. 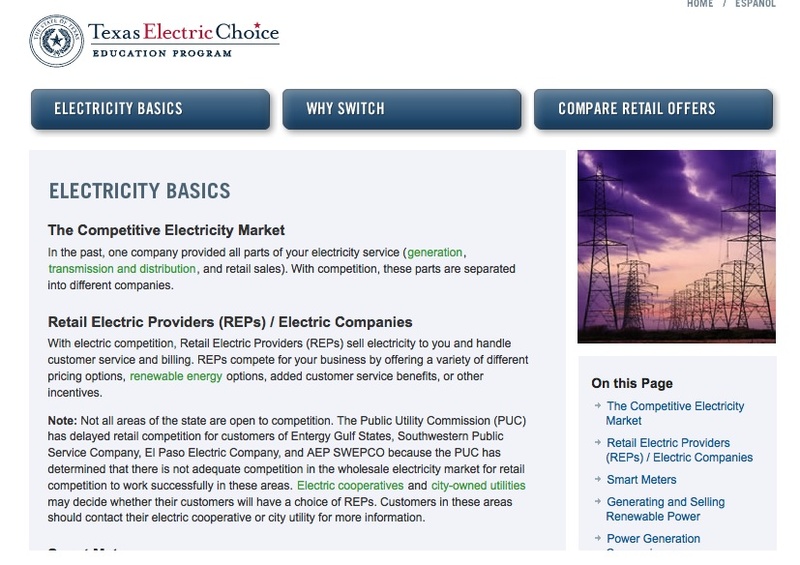 It’s written as an educational/informative tool for Texas consumers stumped by the energy deregulation mumbo jumbo—does a nice job of it, too. Info is well-written and presented. Unfortunately the site’s page title tags are weak, which surprised me. Title tags are one of the most important components in a search engine optimized external website. Really good points, nice article that i enjoyed reading. Look forward to your next post.